Meet Conor McBride. He's even more interesting than the trouble he gets into. WHEN ASSISTED SUICIDE AND COSMETICS COLLIDE . . . Gadzooks! 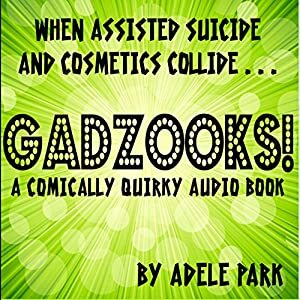 A Comically Quirky Audio Book by Adele Park takes a lighter look at end-of-life situations. In the eyes of Nadine, a polygamist and serial bride, nudging her husbands into heaven is a testament to love. Even Nancy Neptune, a notorious shock jock, is gobsmacked by Nadine's so-called Celestial Send-Offs. Things go to hell in a hand basket when Nadine offs the wrong guy and is charged with assisted suicide. Meanwhile, Blue McKenna has problems of her own. A power outage has leveled Blue's medical marijuana dispensary. Scottie Sphincter, lead singer of a band called The Rectal Surgeons, is fingered as a suspect. Blue makes an unusual discovery as she works to unmask the inscrutable Sphincter. 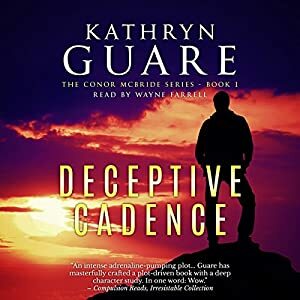 Using witty narratives, a cast of nine characters transport listeners to Navel, Utah, a place where voyages to the afterlife are done with God Speed. Cosmic mirth and hilarity abound in Gadzooks! 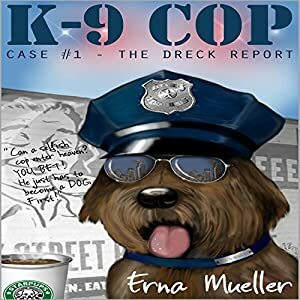 A Comically Quirky Audio Book. Hey buddy, I need to tell you my own story since this author lady is always trying to pull a fast one on me. She puts me through the ringer with all these twists and turns. Not a nice gal if you ask me. Let me introduce myself, my name is Spencer Watley and I'm a Lieutenant at the Seattle Police Department. Well, I guess not anymore. You see some Cyber killers did me in and I landed before the gates of heaven. I was knockin' but the door wouldn't open. An angel standin' there told me no way am I going in. What, you must be mistaken I says, what's my room number? I think to myself, here I am a great cop, donno know how many scumbags and lowlifes I put in the slammer. Don't that count for nothin'? The angel wasn't listening, she just told me I was jerk and insensitive to boot. Do you believe that, a jerk? She said I had to go through the J.R.P. if I ever wanted to enter. The J.R.P I asked, what the heck is that? It's the Jerk Redemption Program said the angel. That's non-stop Oprah and Dr. Phil reruns, then she pokes my chest to make her point. "That'll make you nice and sensitive, Jerkwad." I shivered and tried to hold in my lunch at the thought. Can you imagine that? I can't stand all that mushy touchy feely stuff. But the angel had something else up her sleeve. The other option she gave me was, I could help a young kid and his dysfunctional family. Hey, that sounds way better I says. And just as she's sendin' me back down to earth she pulls this zinger on me. I can only go back in the body of my K-9 partner. Well, I just said forget it, I ain't becoming no dog. But the angel wouldn't listen. So here I am a stupid dog. And the teenager I'm trying to help is a smart-mouthed know-it-all puber who's grouchier than I am. You think this is bad, wait till you read the rest, it gets even worse. I dare you to listen to my story. Woof. Can you imagine Crocodile Dundee as an animal? Paddington Bear in shining armor? Or Winnie the Pooh on a noble steed? 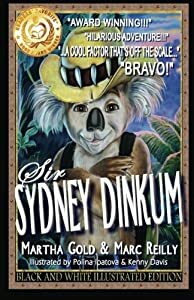 Meet Sir Sydney Dinkum a rascally koala bear from the Outback of Australia who believes he can be The World's Next Big Hero. Like Dr. Doolittle he has the super power to talk to all animals, including humans! Like Don Quixote, he believes it's his job to right the wrongs of the world! But is this just an Impossible Dream? Can a koala really be dubbed knight? Can a little marsupial armed with a boomerang make a difference in the world? Or will Sydney make a mess of things, as usual? The only way to find out is to join Sir Sydney Dinkum on his funny adventures. Don't Delay! Add to Your Cart Today! Read More for Reviews and Testimonials! ”Sydney is cool! Really cool!" Lucas (age 10) Portola, CA. 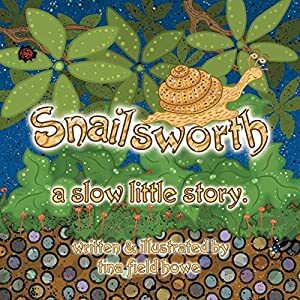 Snailsworth, a brown garden snail, has never strayed far from her home in the ivy. She sets off on an all-night journey, transcending disappointment and fear to discover that the adventure was well worth the risk. 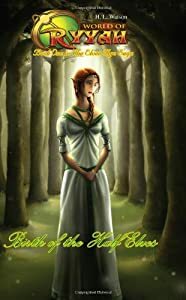 "Birth of the Half Elves" is the first of six books in the "Elven Age Saga." It takes place on the planet Ryyah. The tale begins when the human youth Donovan's quiet village is overtaken by barbarians. Catching the people off guard the barbarians attack the town while the men are out on a salmon fishing expedition. These barbarians are slavers looking for women and young men to capture. After they initiate their attack on these peaceful people, the only remaining survivors are the women and the young men deemed fit enough to sell into slavery. Twelve-year-old Donovan and his best friend Akenji are both captured. While they are being led off, they are spotted by Elven Rangers. The leader of these Elven warriors is a female named Alayna. Alayna takes pity on the captives and orders her men to rescue them. She knows that this goes against her Elven Lord Aden's wishes, because he wants all human trespassers to be destroyed. In her heart she knows that these young men are innocent. Alayna decides to convince Lord Aden to allow her to train the youth as spies so that they can prove useful in helping protect his forest. He agrees, but always does everything in his power to send them into battle before they are ready. This pains Alayna greatly. When Lord Aden's daughter Princess Brandela is sent to Eldergate to find eligible servants, she is captured when the town is attacked. Once again barbarians are seeking slaves. They are also hoping to capture the princess because they know that she will bring in a huge bounty from the dangerous Shadow Elves. As the fighting commences, lives are lost and the princess is taken captive. 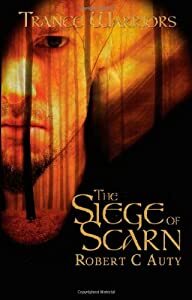 When Donovan discovers who he has lost to the barbarians, he vows revenge and seeks to free the princess so that the Shadow Elves will take their fury of her loss out on the leader of the Barbarians. Once Donovan gets to Brandela, the adventure really begins. They discover a connection that they did not know was possible between humans and elves. As they journey back to Brandela's forest they have to remain vigilant to avoid the barbarians. This is much easier said than done. They also try to understand what is happening between them. Their connection to each other is incredible, and Brandela's father will not be happy when he discovers the truth. "Birth of the Half Elves" is a wonderfully written Elven fantasy. I read it in one sitting. As a matter of fact, as soon as I started reading, I was hooked and I wished that I had all six of the books that are in the series. The story is unique in that humans are trained in the Elven ways. Having a romance between a human and an elf also leads to some interesting dilemmas. The background descriptions of the places where the tale takes place are colorfully written and easy to picture. The characters are also all very complex and add a great deal of reality to the story. I highly recommend this novel to fans of fantasy fiction. The Field Folk thought they and the savage Trailmen were the only people to inhabit their war-torn world. They were wrong. 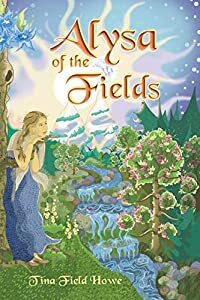 Folk girl Alysa risks all to unveil long-hidden truths, heal ancient hatreds, and save her people from peril.